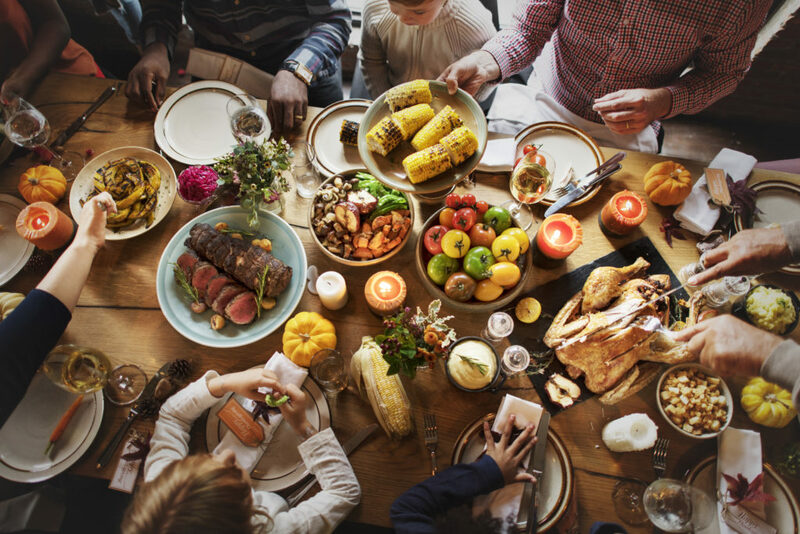 Another Holiday Season is upon us, and somewhere in between wondering where the year went and planning for next year, we indulge in the two best things life has to offer: family and food! The challenge can often be we overindulge and feel like a busted can of biscuits in our stretchy pants. Well, NOT THIS YEAR! We’re having a Guiltless Gobble and sharing how you can too! Drink KETO//OS® NAT™ 30 minutes before the big meal. KETO//OS® NAT™ was designed to help curb appetite, suppress cravings, and get you into ketosis. You can still enjoy the meal, but not feel as stuffed as the turkey by the end of it! Find the Keto Foods. Many holiday gatherings offer a wide variety of carb-heavy options. Finding keto friendly foods can be a challenge, but not impossible! Look for items like veggie trays, green beans, mixed nuts, cheese, cocktail shrimp, turkey, and other low-carb options. BETTER yet, bring a keto friendly dish you know everyone will love! BYOT. Bring your own tupperware! Committing to taking some of the big meal home with you before you dig in helps cut down on the urge to eat everything at once. FOMO of holidays dishes is real. Have some now, have some later. Leftovers are BETTER the second day anyway. Complete the Keto Reboot! Showing your metabolism who’s BOSS is a great way to lead into the Holiday Season. Rebooting your body back to its N8tive state will set you up for success, help you crush cravings, and navigate through those tables full of carb bombs to find the FAT BOMBS. Join us for December’s Keto Reboot and have a BETTER feeling holiday! Keep Müvin’. Many of us put off getting “in shape” until after the Holidays are through, leaving a bigger mountain to conquer. Kick the excuses to the curb and make time to workout before the big meal (Turkey Trot, anybody?). You’ll feel like a million Prüvit bucks and your future self with thank you! Staying keto during the holidays can be a challenge for even the most seasoned keto veteran, but with our tips + tricks, you’re BETTER equipped to conquer the carbs and enjoy a Guiltless Gobble! How can I forward this info to some of my friends who need to be on this product? I am so excited to enjoy more of these this holiday season! I do believe the cauliflower mash is what Stephanie is bringing and I am excited to make and taste pumpkin pie!! Please keep sharing your ideas to help us all be better! Thank you, God bless you all. Happy Thanksgiving! What a great idea and I already set my Thanksgiving dinner to ketos friendly. I’m ready! These are great suggestions! Helps reinforce my holiday plans to remain healthy through the holidays! Remember- it’s a holiday, not a holi-month! Love all the helpful types to stay on the better me path, I can’t say enough how much these ketones have helped me in the past three months. Definitely have changed my life. Our lab ninjas are working hard to whip up some more before the season is over. Keep your eyes out! What happens to your body if you drink exogenous ketones AND have some carbs? Depending on the levels of ketones in your blood stream, consuming too many carbs could knock you out of ketosis. If you consume exogenous ketones, your levels should remain higher to keep you in ketosis! Thanks for this amazing information. I will share this with my family and friends who are doing the ketone drinks. Happy Holidaya! This is amazing! I can’t waut to share with my family and friends!